From a couple items to several, customers need an easy way to carry their future purchases throughout your grocery store. 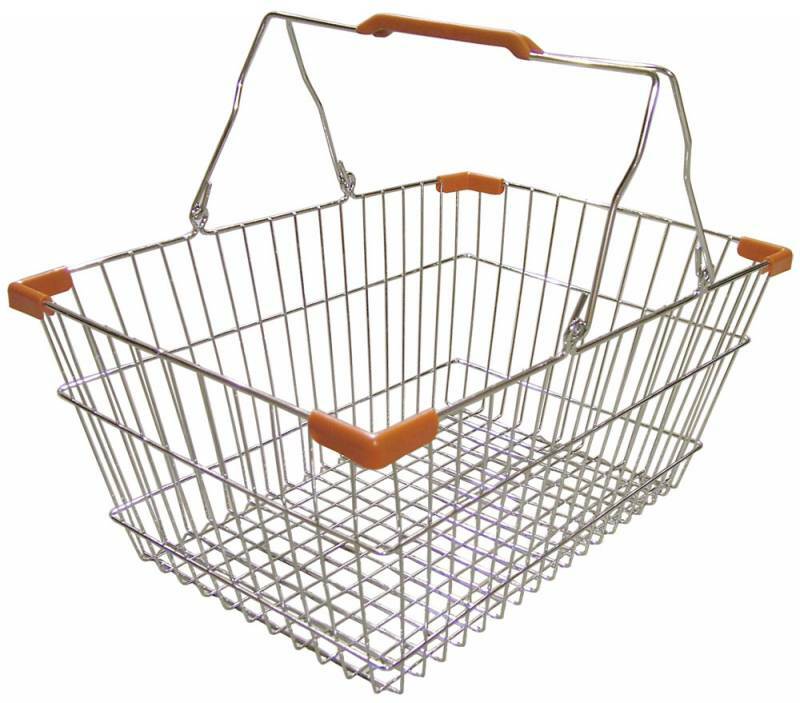 Provide your customers with optimal shopping convenience with a selection of colored shopping baskets! Made of durable, easy to clean plastic with reinforced ribbing for added support, this basket is built to last through the multiple daily uses; the holes in the basket prevent any spill or water build up. This basket features two steel plated handles that offer even more sturdiness and support. 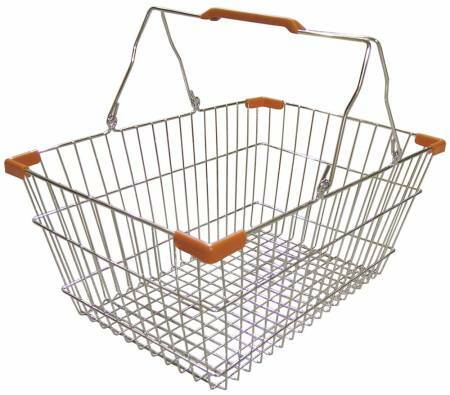 Plus, each handle has a grip for your customers’ comfort while holding the shopping basket. These baskets also nest together for easy, space-efficient storage. Every grocery store, market and shopping centre is guaranteed to thrive with this simple and convenient basket.